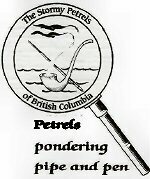 The Stormy Petrels of B.C. The sixth from the first. For the sake of the Game.